It’s the ultimate irony that the freight you need to arrange the fastest is the slowest to approve. 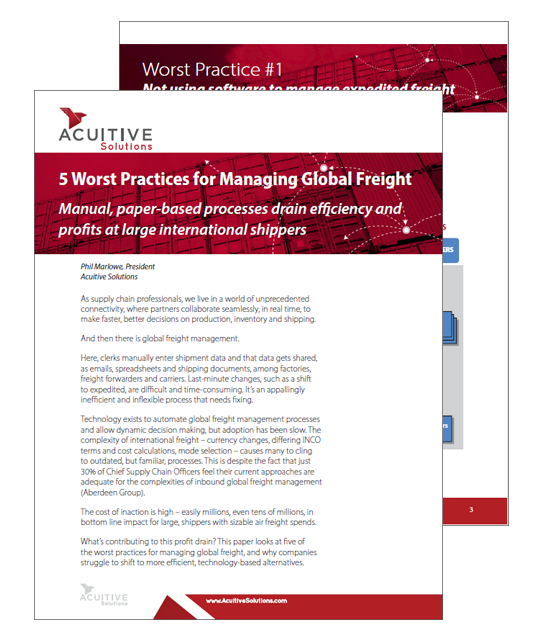 Fortune 100 companies are the worst offenders, with complex approval processes for global air freight shipping that can inflate costs 7–10%. Lost profit. Cheaper options disappear when it takes too long to decide on expedited air freight shipping. Poor budget controls. When freight budget reviews are based on invoices received, you’re making decisions today based on 8-10 week old data. Bad decisions. When humans lack access to the business’s actual delivery requirements and the time and cost of shipping options, decisions are driven by emotions, not facts. An Acuitive review of air shipments for one major fashion brand found that 3% of air shipments could have gone ocean and 4% were already late and destined for markdown, therefore air freight was unnecessary. If you pulled out that 7%, yearly air freight shipping costs would shrink by $1.5 million. 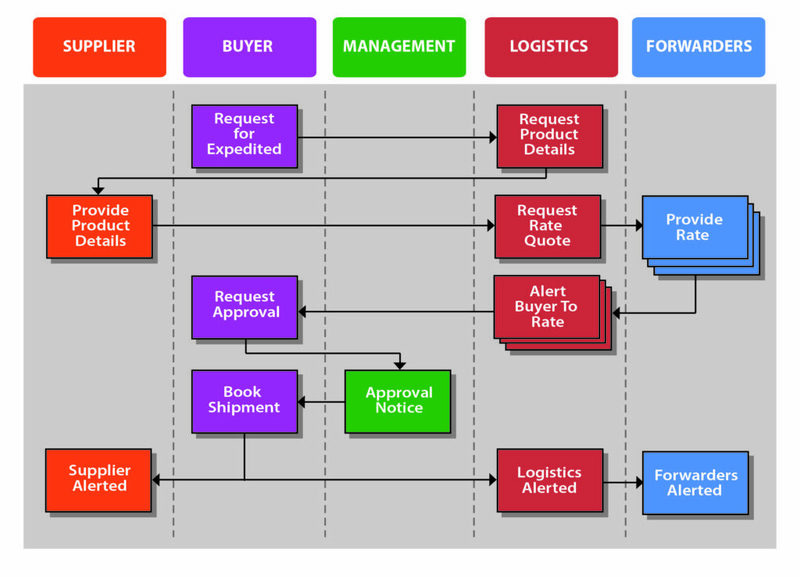 Acuitive’s expedited freight approval platform connects all key people in the decision process and automates the air freight shipping process with workflows based on your business rules. Tracks spend vs budget in real time – no surprises! 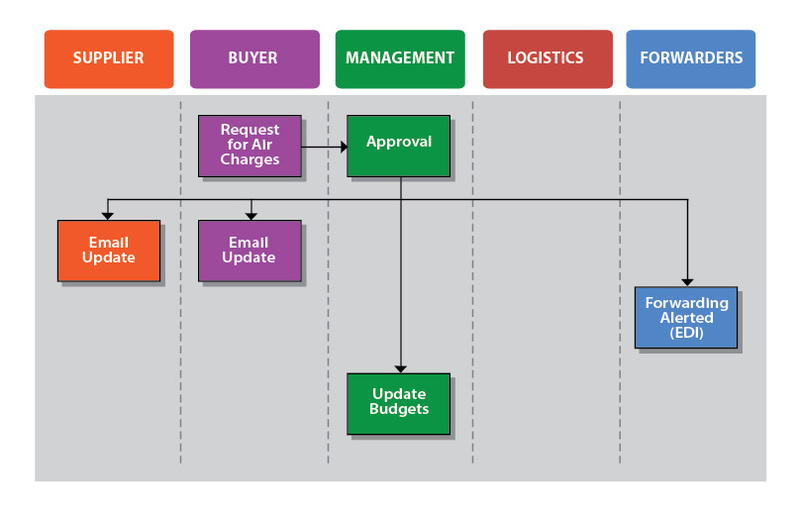 If you’re frustrated with your current approval process for global air freight shipping, we’d be happy to assess the improvement potential. Contact us to arrange a preliminary call.